Net neutrality is the idea that we get the most out of a network, when it is less specialized. This is what network design aficionado’s call end to end networking, and what in laymen’s terms means that you can watch cat videos and download anime comics using the same network. A bit is a bit, and every bit costs the same. The Internet is basically founded on this principle, and therefore it isn’t surprising that it caused some stir in the pond, when people (read corporate America) started suggesting something as outrageous as a non-neutral Internet. There are several great arguments against a non-neutral Internet, but before you jump on the bandwagon, and join Anonymous in the fight against corporate America, I would like to give you some examples were non-neutral networks are actually a benefit not only to the individual, but to society as a whole. Let’s start with the network of roads. Anyone can use a road, at any time – a piece of tarmac is a piece of tarmac. But roads suffer from a problem that is common within networks. Congestion! Cars swamp the highway during rush hour and people waste hours upon hours holding still on this ever-lovely tarmac. 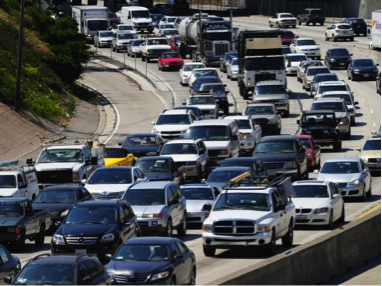 One way to fix this problem is something as simple as toll roads. Simply put, the toll is higher during rush hour, than at, say, 8 p.m. This means that the people who really want to drive during the rush hour pay a little more, whereas those who aren’t really bothered, drive at another point of the day. All this of course leads to less congestion, but also a lower risk of car accidents. Both of these effects are beneficial not only to society, but also the individual. Wouldn’t you pay to get out of this? Now, you might say that the problem of congestion doesn’t exist, or might already be fixed with regards to the Internet, because people can just buy a faster Internet connection. However this is like driving a Ferrari during rush hour; you might have one hellufa engine, but it doesn’t really help you when you’re stuck in traffic. A bigger engine doesn’t guarantee you an open highway. This is exactly the problem with the Internet as it is today. You are never guaranteed the speed or the access that you want (for a more technical explanation see Chris Yoo’s commentary here). In this case, paying a higher toll, doesn’t necessarily guarantee more speedy access either. So let’s look at another network more akin to the Internet. 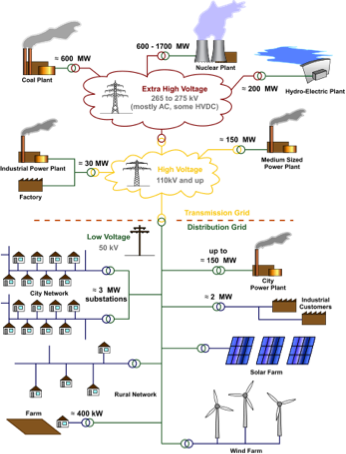 Let’s look at the electric grid. Tim Wu says: “The electric grid does not care if you plug in a toaster, an iron, or a computer. You pay for electricity, and you can use it for what you want.” In other words, the electric grid is neutral. However this might be true in some places, it’s not true everywhere. Take for instance the Norwegian KILE-project. In Norway the problem is not only congestion, but also that there isn’t enough electricity to go around for everyone. Both elements make it difficult to guarantee a constant stream of electricity to everyone. Here’s one way they’ve tried to fix it: Quality incentives. Basically quality incentives are based on the idea that electricity is more important to some users than to others, e.g. the ice manufacturer is much more dependent on a steady stream of electricity than the vacation hut in the middle of nowhere. Because of this, electricity companies are penalized more when electrical load is lost for more important services. In other words: losing a bit of electricity to the ice cream manufacturer costs more than losing the same bit of electricity to the hut. By creating these incentives, electricity companies prioritize the ice cream manufacturer, thus minimizing social costs (This particular approach is one that penalizes failure, but it could easily be turned around, such that it rewards success. One way to do this, would be to let the ice cream manufacturer pay more for the same electricity, in order to make sure that she receives a steady stream of electricity). Once again, this sollution leads to a less neutral network, but arguably one that is more of a boon to society. I think an approach like this could benefit the Internet. Imagine for instance the difference between Skype and email. Whereas it doesn’t really matter whether or not the email is 1 second delayed, a 1 second delay on Skype is detrimental! As mentioned, the problem is that Skype can’t guarantee us the level of information that we need to use the service, but wouldn’t it be better if Skype could actually guarantee this, if we could somehow discriminate between between a Skype-bit and an email-bit? I think it would, and here’s how: One way to do this would be by dividing the markets. For instance, instead of just paying for the speed of your Internet, you could also pay for what kind of Internet you would get; in his debate with Tim Wu, Chris Yoo argues that “… deviating from network neutrality might make it possible for three last-mile networks to coexist: one optimized for traditional Internet applications, such as e-mail and website access; a second incorporating security features to facilitate e-commerce; and a third that facilitates time-sensitive applications such as streaming media and Internet telephony.” Yoo further argues that this would not only help guarantee the level of information needed for the given services, such an approach would also make it possible for smaller and more niche based service providers to survive in a competitive market. Also this approach might even make the Internet more accessible. 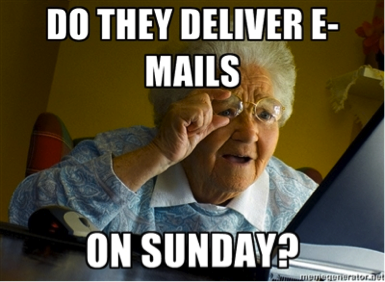 Take for instance grandma Olga; she doesn’t want to surf the Internet looking for lolcatz or trolling innocent Youtubers, but what she might want to do, is be able to read emails and read the news. By allowing us to deviate from the traditional neutral net, we can make this a cheaper possibility for Olga, because now she doesn’t have to pay for the potential use of Youtube. Granted, this might make it more expensive for the youtube troll, who has to pay for his media streaming, but quite honestly I don’t se the problem; she’s just paying for what she gets. Why should grandma pay for your endless hours on Youtube? To sum up: Networks don’t have to be neutral. In fact many networks have benefitted for some sort of de-neutralization, and the Internet might just as well. So before you start going all John Perry Barlow on me, you might want to consider what you – and society – is missing out on, if you want to keep the Internet completely neutral.